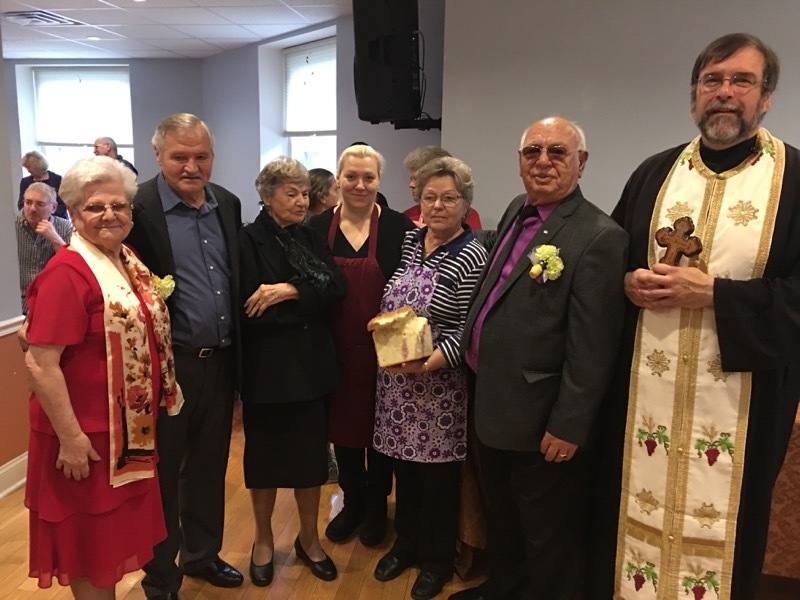 On Sunday October 29 the Circle of Serbian Sisters of St. Nicholas in Philadelphia celebrated their krsna Slava, Sveta Petka. 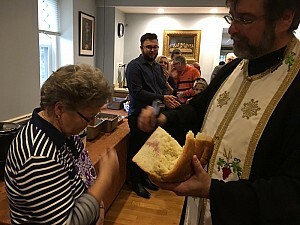 The day began with Divine Liturgy followed by the Parastos for departed kolo sisters and the blessing of the Slavski Kolach. Kumovi for this year were Ilija and Stojana Laskovic, two long-time and active members of the parish community. "Tetka Stojana", as she is affectionately known, is a dedicated, hardworking kolo memeber who unselfishly devotes her time to the church at every event and weekly cofee hour. The Laskovic family generously donated the delicious meal served and Stojana prepared the beautiful Slavski kolach, one of her many culinary talents. Congratulations to next year's kumovi, Dojna and Milovan Ruso, longtome kolo member and a backbone in the kitchen. May God grant them all many years!